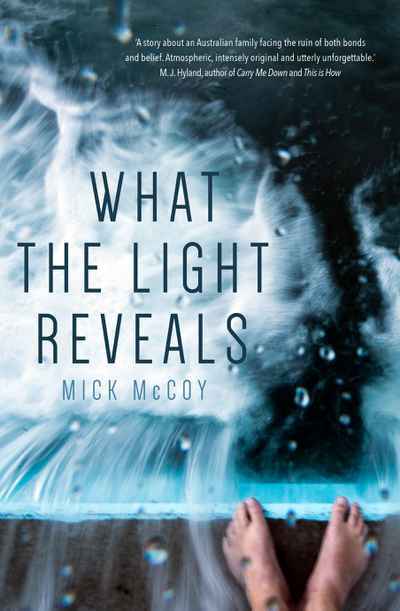 In an increasingly divided and intolerant world, What the Light Reveals is a beacon: a novel that brilliantly captures the sometimes devastating consequences of individual belief. Conrad is falsely accused of passing military secrets to the Russians. His life and that of his family is turned upside down by discrimination and fear. Unemployed, misrepresented by the media, betrayed by relatives, and threatened by strangers, Conrad sees no choice but to uproot his family from their homeland to start a new life in Moscow. It is also the story of Ruby, and of her and Conrad's adopted son Alex, and biological son Peter, and of the tension and intrigue that confronts them and shapes their lives in two countries. Russia lives and breathes in McCoy's superb evocation of it, but Australia is never far away. As Peter says, ‘Tell me again why we’re still here?’ Told with suspense and rich in characterisation and surprising plot twists, this is a novel of both heart and intellect, a book about the need to belong, about what a family is, and why we all need one.